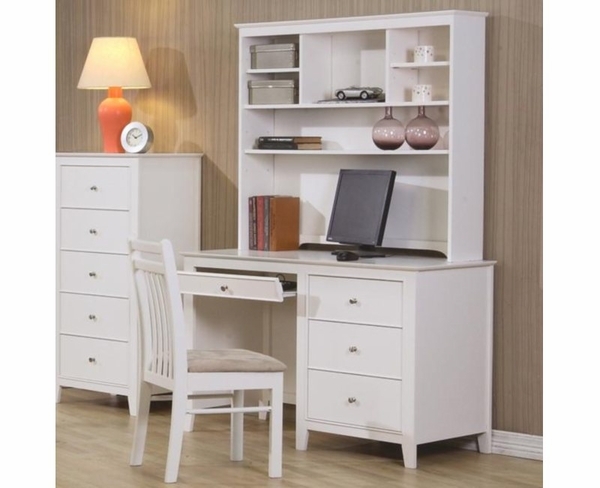 Keep your child's study space organized with the functional and attractive designs of this computer desk and hutch. Tapered legs and simple knob hardware compliment the refreshing white finish, while three storage drawers provide room for study materials and accessories. A roll-out keyboard drawer offers a convenient and accessible place for your computer keyboard. The matching hutch includes shelving for books and favorite decorative items.